In giving her time wholeheartedly in the HIV advocacy, Wurtzbach announced her personal project called Project Progressive Information Awareness (PIA) campaign or simply dubbed as Project PIA, which bears the Love Gala. Love Gala is Asia’s Premier Charity and Awards Gala event, which will serve as a donation mechanism to support the HIV-AIDS advocacy, and will honor Ten (10) outstanding individuals at “The Ripple Awards” for their exceptional contributions in raising the level of HIV-AIDS awareness in the country. The maiden Love Gala will be held at the official city partner of Taguig on 1 December alongside the celebration of the World AIDS Day. It will also feature a fashion show by top Philippine designers, a star-studded mini-concert, and a special auction. Meanwhile for the “Ripple Awards,” the Love Gala organization will only be accepting nomination until 31 August 2017. To nominate, click on the link: http://lovegala.org/nominate-now/. Nominees will be screened based on their initiatives to create ripples of positive change that greatly influence the domestic and global HIV-AIDS advocacy. The gala is a collaboration of private and public institutions and youth-oriented organizations which was espoused by the Better Together Organization. It also aims at augmenting the efforts to normalize the HIV-AIDS advocacy to a larger audience. “I believe we can strengthen our bonds and achieve our shared goal of ending AIDS in the Philippines, Asia-Pacific and the Universe,” says Ms Wurtzbach. Long before Miss Universe 2015 Pia Alonzo Wurtzbach exponentially raised the HIV-AIDS Awareness in the country, many Filipino individuals have been working hard to change the landscape of HIV-AIDS advocacy in the country. 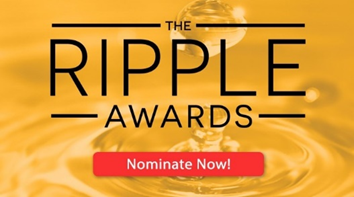 The Ripple Awards nomination period is open until 31 August 2017. 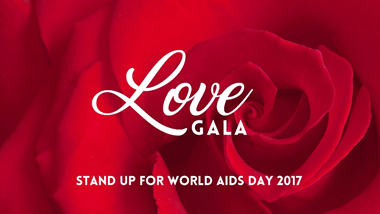 Visit the Love Gala page: http://lovegala.org/nominate-now/ to nominate someone who has created ripples of positive change that greatly influenced the domestic and global movement towards the HIV-AIDS advocacy. Additionally, the gala is a collaboration of private and public institutions and youth-oriented organizations to augment the efforts in mainstreaming the HIV-AIDS advocacy to a larger audience. Institutions and organizations coming together for Love Gala are the following: AIDS Healthcare Foundation, Black Maria Productions, Decent Image of South Signal Association (DIOSSA), Dentsu, Pinoy Plus Association Incorporated, Positibong Marino Philippines, Sustained Health Initiatives of the Philippines (SHIP), Taguig City Government, Team Mag, The Red Whistle, The LoveYourself Incorporated and the US Embassy. Behind this extensive collaboration of Filipino organizations is Better Together. Better Together, an initiative founded by Dr. Antoine Bondaz and Mr. Kenneth Kwok for the purpose of empowering the future generations in Asia and beyond, is a founding member of the Love Gala. Uniting for a single cause, the gala will also feature a concert headlined by artists who are also HIV-AIDS awareness advocates, and a mini auction that will raise funds to further HIV-AIDS education. With the Philippines peaking its HIV infection incidence, “We have to firmly stand together in fighting this pandemic, not only for the Philippines, but for the rest of Asia and beyond,” the organization concluded.